So yesterday I went out to the West County Detention Center (the # 71 bus will deposit you right at its doorstep) to see what was up. Apparently plans are afoot to house immigrants inside of that structure or else in tents next to it. Didn’t see any immigrant babies. Didn’t see any tents. Didn’t see much of anything — except for a whole bunch of gigantic business warehouses located right down the street. Warehousing people right next to warehousing things? How appropriate is that? And to quote Diana Ross again here, “Come see about me — see about your baby.” And The Supremes are also right on message when they sing about love. Love is so much more better than hate. Hell, love is better than anything. But forget about love. This whole miserable ugly sewer-like stain and blot on the history of America is basically ALL ABOUT MONEY. If any of those cruelly-incarcerated immigrant families had been born with silver spoons in their mouths, we wouldn’t even be having this discussion. They would have been flown to Washington in private jets and put up in the best hotels. They would have been feted by Congress and served state dinners at the White House using the good china — no matter what they have done. Members of M-13? Not a problem. For example, both Netanyahu the Butcher of Gaza and that evil Saudi prince who murders babies in Yemen are treated like royalty in Washington. 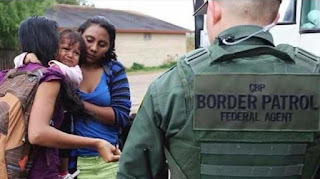 Why aren’t these hard-working decent immigrant families coming to America given the same treatment instead of having their children cruelly ripped away? Ha. In America today, the rich always get richer — and always at the expense of you and me. Always. It’s the law. Just ask the Supreme Court. PS: If you too want to go “see about your baby” and caravan to one of the many detention centers in the United States that taxpayers are paying for instead of sending their kids to Harvard, there is information on how to do it at http://caravans4ninos.com. “Why did you even come here?” I recently asked one desperate immigrant who I ran into on the street while he was searching for shite jobs that no American would even want. And as for the immigrants themselves? They don’t want to be here. Hell, it’s cold up here, housing costs are through the roof and nobody even speaks Spanish. They are only following the trail of their stolen wealth. So let’s see if all those Latin American governments can finally go all machismo for a good cause this time — and shut down their embassies and consulates in protest of America’s dirty little border war-for-profit, its dirty little war on children. Wilkerson’s book describes the insanely brutal Jim Crow practices that took place in the American South — and in such scary detail that it made me cry. Jim Crow policies were in several ways even worse than slavery. “But, Jane,” you might say, “nothing could have been worse than slavery in the Ole South.” Yes it could. 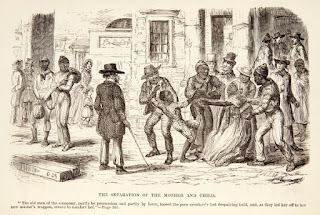 With slavery, at least slave owners were slightly constrained with regard to the physical damage they could do because of limitations inherently imposed on them by not wanting to damage their own property. With Jim Crow, however, there were no such constraints. Torture and lynchings were every-day occurrences in the “post-bellum” South — and they were common occurrences there for over 70 years. This book was chilling. Six years ago, my three-year-old granddaughter Mena was spending the night with me. All evening long she had been wheezing, listless and pale. Finally at around 2:00 am, she practically crawled into my bedroom, coughing, choking and white as a sheet. “Gaia, I need to go to the hospital — now!” she said. I didn’t waste any time. We were still in our nightgowns when the doctor told us, “Worst case of asthma I’ve ever seen. A few more minutes and she would have been dead! You saved her life.” No, I didn’t. Mena saved her own life. And since that day, I’ve always listened closely to everything she was telling me, just in case. Later that month, Mena also told me, “Toys are my only friends.” What could I say to that? I told her the truth. “Sometimes I think that books are my only friends.” So when I recently went off to the Javits Center in New York City to attend the 2018 “Book Expo America” being held there — and walked into a whole giant building all filled with nothing but books, I couldn’t help but think that I had just entered a building filled with hundreds and hundreds of my very best friends. The next evening Bernie Sanders spoke at the Book Expo. Gotta love Bernie. Good grief, how I wish he was in the White House right now instead of having to helplessly watch Trump’s yard sale of everything that is American. I voted for Bernie. The only thing that used to be wrong with Bernie was his tolerant policy toward Israeli neo-colonialist state-sponsored terrorism. But recently he has been wising up — as have the rest of Americans who actually keep up with the horrors happily inflicted onto the rest of the Middle East by neo-con Zionists. How does that joke go? “We should make America name Israel as its 51st state,” someone recently suggested to Benjamin Netanyahu. “Why should we do that?” answered Bibi. “Then we would only have two Senators in Washington. Right now we already have 50.” And yet people talk about Russia buying our elections? Donnie the Mole and Crooked Hilary could never have been bought off by Russia — because Israeli neo-cons already owned both of them body and soul. Humph. “But this book was written in 2007,” one publisher exclaimed. America’s current moral decline and decay can easily be traced back through its barbaric treatment of children. 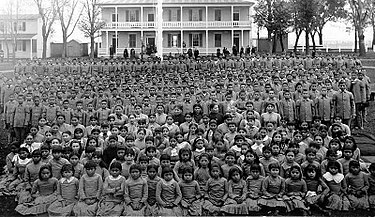 First there were those nasty “boarding schools” for the thousands of terrified Native American children who were dragged screaming away from their helpless parents. And now Americans are at it again — dragging young children away from their undocumented Latino parents and shoving these human babies into cages as if they were animals in a zoo. Not exactly a good way to celebrate Fathers Day, America. What’s with that? PS: America’s foreign policy, however, appears to more closely resemble King Herod rather than Oliver Twist. With the possible exception of paying for those infamous Israeli neo-colonialists’ prison camps for Palestinian children, America’s foreign policy tends more toward Herod’s “slaughter of the innocents” in places like Syria, Central Africa, Libya, Afghanistan, Ukraine, Yemen, Vietnam, etc. Am I being too hard on America here — or not hard enough. Either we are decent and moral people — or we are not. I was raised in the suburbs. Back in the Boomer days, suburbs were spozed to be wonderful places where residents could relax, enjoy nature and be happy. Funny how it didn’t work out that way. My father commuted to his job Monday through Friday, was gone from 6:00 in the morning to 8:00 at night and also worked a second job on weekends to pay off our suburban mortgage. So much for smelling the flowers. And my college-educated mother was bored out of her freaking mind with her life there as chief maid, cook, bottle-washer and nanny to her mostly-absent husband and two ungrateful brats. Ah, white flight. Can you believe it? First Black people were forced into Harlem because nobody else wanted it. Red-lining, slumlords and all that. Crappy schools. Unemployment. Bigotry. 80% of the housing stock in Harlem was under-code and sucked eggs. “But those are genuine brownstones!” the Yuppies and Techies suddenly cried — and suddenly their race for real estate in Harlem was on. Back in those days Harlem may not have been surrounded by barbed wire like Manzanar or Auschwitz or Gaza, but the iron fist of American social norms (not to mention the New York PD’s iron fist) kept Black people trapped there just the same. And so they did the best that they could and made this new Harlem concentration camp their home — “made something out of nothing”. But now they don’t even have that. I just got back from a walking tour of Harlem. In Harlem today, signs reading “Condo for Sale” are now a common sight. There is even a freaking Whole Foods located right there on the corner of Malcolm X Boulevard and 125th Street. So much for white flight. Goodbye Harlem. It’s now called Central Park North. And when brownstones in Harlem are sold for several million dollars each, who gets all that money? Does it go to the Black grandmother who had religiously paid her rent every month for the last 50 years? Even though her landlord never made any repairs and yet charged her double the amount that White people were paying for the same sized unit elsewhere in Manhattan? For some unknown reason, I’ve only been able to do a half-fast for Ramadan this year. Here’s me, barely limping along without food until mid-afternoon, never quite making it to sundown. My bad. But I’m doing the best that I can — in solidarity with the millions of tortured, vilified, starving and endangered people in Gaza, Bethlehem, Syria, Libya, Iraq, Yemen, Afghanistan, etc. On Sunday I broke my fast with a nice bowl of rice pudding at Barney Greengrass’s famous kosher restaurant on the Upper West Side, an area that many former Israelis have immigrated into lately (apparently one in six Israelis no longer live in Israel and have been voting against Netanyahu with their feet). On Monday I broke my fast in Harlem, eating shrimp and grits at that iconic luncheonette founded by “Sylvia, the Queen of Soul Food” — followed by a quick trip to the Apollo theater to buy an iconic T-shirt and reminisce on the good old days when I used to buy a seat in the second balcony every Saturday night for only a dollar and change. So. After this powerful experience with the Buddha, I’m now starting to wonder exactly who I will be having lunch with next. Mohammad, Abraham, Jesus? I’m sure that each one of them would all serve up a nice hot dish of compassion too. The moral here? Human beings today are starving for compassion — not for wealth or power. And they are certainly not starving for more “war”. We have totally grossed out on all that shite already. And I betcha anything that Jesus would never want America to spend a trillion dollars on some stupid 2000-mile-long border wall — and that Abraham would never want America to spend a trillion dollars on some stupid Wall in Palestine either. And surely Mohammad would never want those freaky-weird spoiled-brat princes in Saudi Arabia to join with America in spending a trillion dollars slaughtering Muslims in Yemen and Syria either.